Step into a world where your home entertainment system not only sound good but look good as well. With a beautiful black toned and sleek design the new UnitiSystem range of music players and server is where multi-room home entertainment systems are at. The group of home entertainment systems doesn’t come with a lot of buttons and knobs to push and turn just enough for you to get the best quality sound for your listening pleasure. The UnitiSystem is Niam’s first ever plug-n-play multi-room entertainment system. 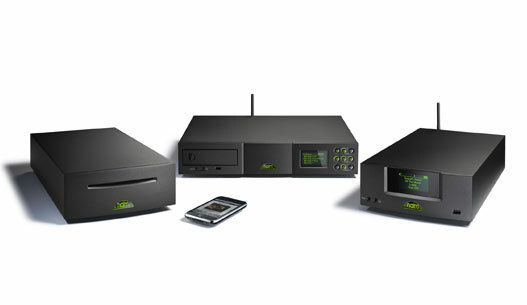 Together with the UnitiServe, a CD-ripping server; the NiamUniti all-in-one audio player and the recently-launched compact UnitiQute; they make up Niam’s award winning family of home entertainment systems. Together they they define what multi-room home entertainment should be. At the heart of this modern system is the UnitiServe with its extended music database and library offering almost limitless network storage. It can serve the other Uniti systems wirelessly, cutting out the need to run any cables, which is a plus for installation. It also offered an Ethernet wired option if you don’t mind the cabling or you might already have the ports available. The UnitiServe can be Ethernet connected with the NaimUniti and UnitiQute for the better quality audio distribution. The Uniti players are UPnP (plug-n-play) which means you can stream from any UPnP device, like your laptop, PC or a Network Attached Storage (NAS). In addition an onboard DAC means Uniti players can seamlessly interface with local external digital audio sources including DVD players, TVs, Sky boxes and games consoles enhancing the total home entertainment experience. The players can be controlled by a dedicated iPhone / iPod Touch App, providing vivid displays of cover art and extended metadata. The UnitiServe and its music library can be managed via a dedicated iPhone / iPod Touch app, web browser or desktop client interface. The UnitiSystem will work with an existing home network and wireless router – just add the UnitiSystem devices to the network and they will automatically find one another.